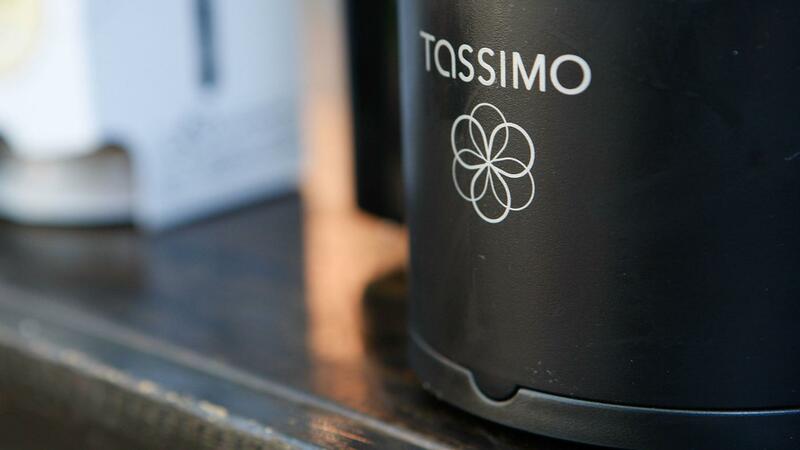 Is There a Reusable T-Disc for Tassimo? As of 2015, there is a reusable T-Disc product produced and sold by MyCap that is also available on Amazon.com. The disc is usable on any compatible Tassimo coffee brewing machine and includes a hole plug, bar codes, a top seal and usage instructions. The official product page on the MyCap website describes the product as BPA free and made using materials that are 100 percent approved by the FDA. The disc can be reused between 30 to 100 times, depending on the consumer's coffee-brewing behavior. This reusable unit can be filled with any type of ground coffee at home. What Problems Are Reported by Owners of Tassimo Machines? How Can You Determine Whether a Used Vacuum for Sale Is Worth Buying? Are Household Cleaning Products Safe to Use on Lasko Appliances? What Are Some Complaints About ScaleRID? What Is the Website for the Euro-Pro Shark? Where Can You Purchase Inexpensive Dyson Vacuums? Are Hampton Bay Parts Easy to Locate and Buy?